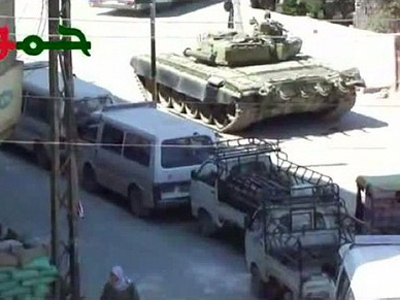 Thousands of people have taken into the streets of Damascus in a massive pro-government rally. Syrian President Assad, meanwhile, has sent a message to the UN blaming the opposition for the recent spate of violence ahead of the ceasefire deadline. ­In the message to the UN Secretary General Ban Ki-moon and the president of the Security Council, Assad said that "terrorist acts" have increased in the past few days. 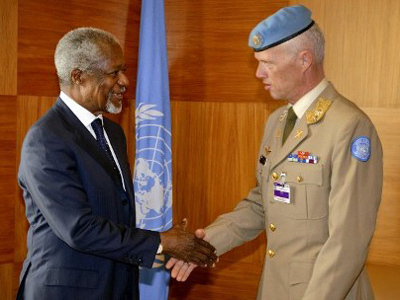 "The terrorist acts committed by the armed terrorist groups in Syria have increased during the last few days, particularly after reaching an understanding on Kofi Annan's plan," said the letter. These armed groups, Assad wrote, have been funded and armed by countries such as Turkey, Saudi Arabia and Qatar and now they are interested only in violence, despite the April 10 ceasefire deadline. 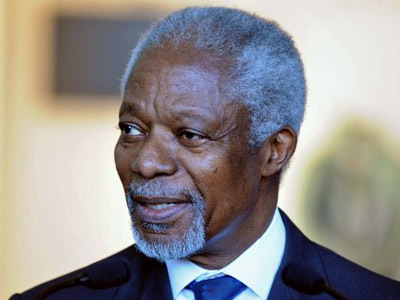 Damascus is concerned that there is no indication from the opposition as to whether or not they are fully committed to the peace plan developed by UN-Arab League envoy Kofi Annan and and was agreed by Assad. Meanwhile, thousands of Syrians have taken to the streets of Damascus on Saturday to commemorate the 65th anniversary of the creation of President Bashar al-Assad's ruling Baath party. 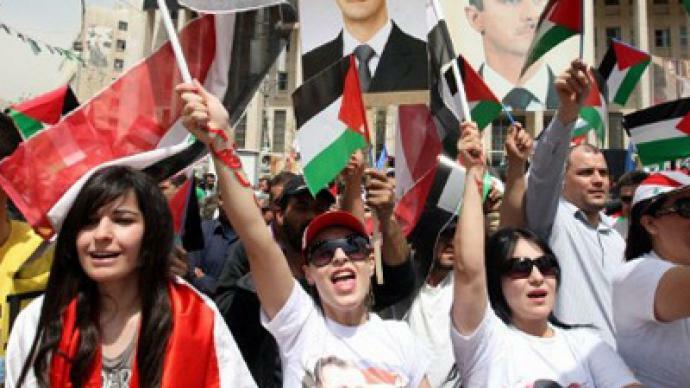 Supporters gathered in the central Sabaa Bahrat Square, waving the red, black and green national flag and portraits of Assad as patriotic music blared from loudspeakers, AFP reports. People, all against international interference in Syria, are showing support for the reform program Assad promised to implement. The rally comes as UN Secretary General Ban Ki-moon accused Syrian authorities of not doing enough to show their commitment to Annan’s plan to stop the conflict. But Assad has denied these accusations, saying that for days now he has been withdrawing his tanks and troops from populated areas, just as the six-point peace plan requires. At the same time there is a UN team in Damascus preparing the groundwork for next week’s ceasefire deadline. If the April 10 timeframe earlier adopted by the Syrian government is met, then all opposition fighters should stop their operations within 48 hours of the deadline – by 6 am local time on April 12.